Fancy casting a line for salmon on the River Tay in 2017? Ladies Fishing will be hosting a 3 day salmon trip with accommodation from the 1st to the 3rd June. 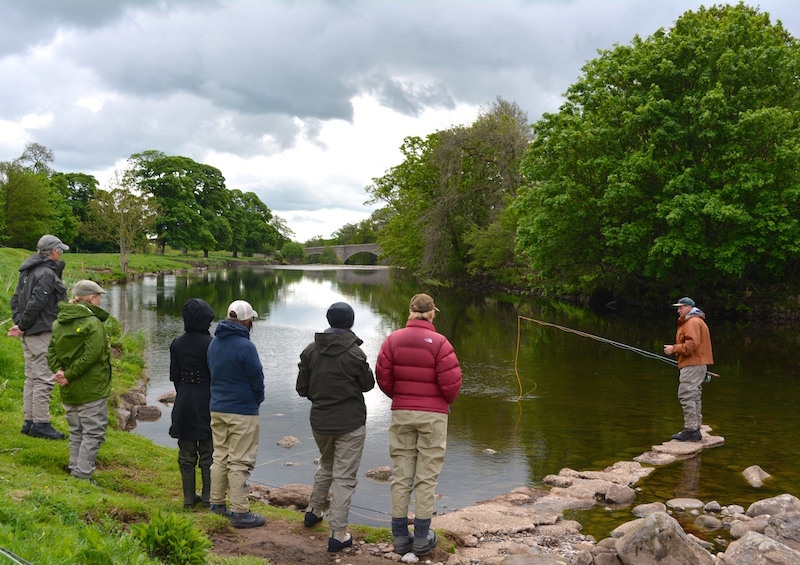 During the three days you will cast for salmon on Newtyle beat, where your fly or spinner will cover two miles of prime double bank salmon fishing. Saturday we went fishing on Hoddom on the Annan. When we got there the conditions weren’t perfect the river was starting to colour up but there had been a small rise in water the day before. We thought we would give it a go until lunch time and then maybe call it a day. During the last 3 weeks, we have enjoyed ladies salmon fishing events, with some spectacular results. Events on the River Tyne including a day fund-raising for breast cancer charity Casting for Recovery including lunch and tuition. Sarah caught a salmon and Emily a sea trout.